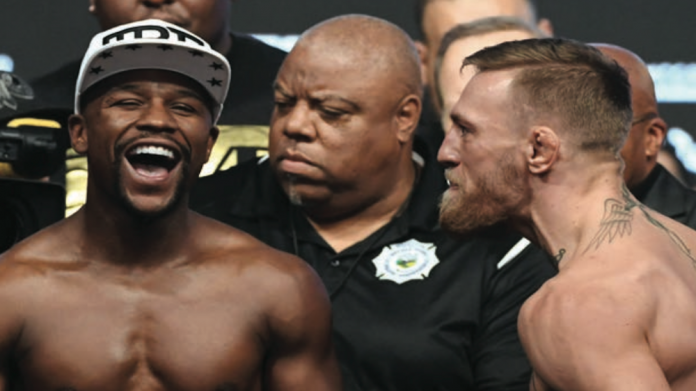 The all-time record betting handle on a fight set by Floyd Mayweather and Conor McGregor last summer could be broken in 2018 as the two showboaters are rumoured to be in developed talks for a rematch – this time under UFC rules. Rumours began when supposedly retired boxer, Floyd “Money” Mayweather, applied for a MMA licence in March – suggesting the 50-0 undefeated champion would step into the octagon for what would likely be one of the most watched sporting events in history. Vegas bookmakers swiftly opened markets on the potential rematch, with the tables turned on Mayweather. Bookies had him at 1/25 for victory against McGregor, around four months before the 2017 Queensbury fight; quite a contrast to Westgate sportsbook which is giving only 13/2 on the boxer winning. McGregor, meanwhile, is placed at 1/10. “I think the price should be much higher, but the public loves to back the underdog in these things so there’s no need to set it real high,” Westgate book- maker John Murray told the Journal. Still unconfirmed, the fight must take place before September 2019 and under MMA rules to be paid out.